Q. How do I sign up as a Style VIP? Q. When will initial/annual billing occur? Style VIPs will be billed at the time of enrollment. Q. Will licensed products be available for the Style VIPs discount? Q. How do US/CA Style VIPs qualify for free shipping? US/CA Style VIPs must spend the following on an order to receive free shipping. This is before tax/shipping and after discounts have been applied. Q. How do AU/NZ/UK/MX Style VIPs qualify for free shipping? Style VIPs must spend the following on an order to receive free shipping. This is after discounts have been applied. Q. Can Style VIPs order from a party? Yes, Style VIPs can place their order in a party during the checkout process. Style VIP orders cannot be moved into a party after they have been placed. Q. If a Style VIP is also a Host, can their Style VIP order go into their party and contribute towards party points and Host Rewards? Yes. the Style VIP can assign their order to the party and have it contribute towards party points and Host Rewards. Q. Can a Style VIP purchase from a Consultant's party that is not her Style VIP Sponsor? 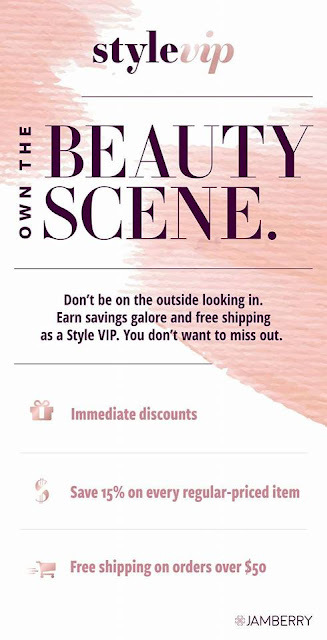 A Style VIP can add an order to any Consultant's party at checkout. The Style VIPs Sponsor will still get the QV and RV for the order, but the Party Points will be assigned to the different Consultant's party at checkout and that Host will receive the rewards. Q. Can I be a Style VIP and not have a Consultant? No. You must enroll under a Consultant to be a Style VIP. Style VIPs can choose to enroll under any Consultant of their choosing. Q. Are Style VIPs required to place their order under their specific Consultant or can they place an order through any Consultant? 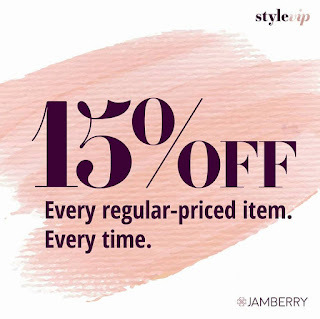 To receive the 15% discount, Style VIPs must order from the Consultant they enrolled under. If a Style VIP places an order under a different Consultant, they will not receive the 15% discount. If a Style VIP wants to order under a different Consultant and still receive their 15% discount, they would need to un-enroll from their current Consultant and re-enroll under the new Consultant. Re-enrolling would include paying the enrollment fee again. Q. Can I be both a Consultant and a Style VIP? Q. Can a Style VIP become a Consultant? Q. If a Style VIP wants to become a Consultant, are they required to purchase a Starter Kit? Yes, they will be required to purchase either the Business Basics Start Kit or Style Essentials Starter Kit. Q. Can Style VIPs be NAS designers? Yes. Q. Will Style VIPs receive the 15% discount on NAS orders? No. Discounts are not available for NAS items at this time. Q. How do StyleBox customers fit into Style VIP?Style VIPs can be StyleBox customers. They will not receive the 15% discount on their StyleBox orders. However, full price add-on's to their StyleBox will receive the 15% discount.